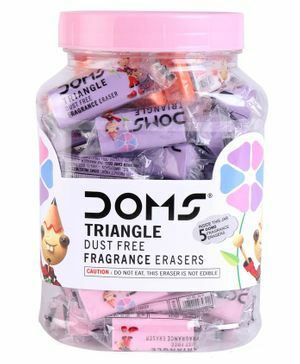 Doms presents this useful jar of 50 dust free erasers. Ideal for clean and dust free erasing. While erasing dust rolls together hence there is no dust on paper. Triangular shape eraser with fragrance that is safe for children.